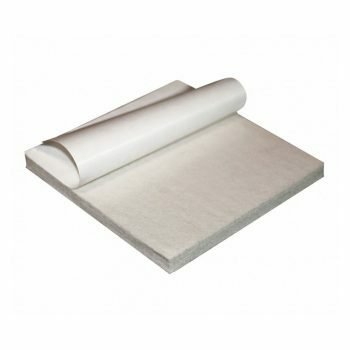 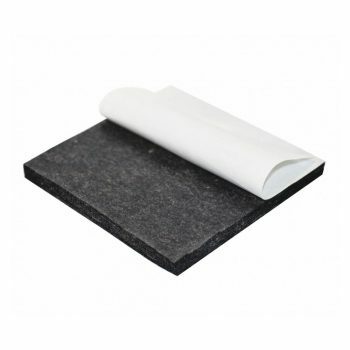 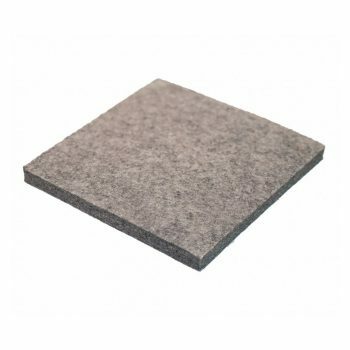 Wool felt sheet, general purpose, gray, 12 x 12 inch, 3/8-inch thickness, adhesive backing, grade F3. 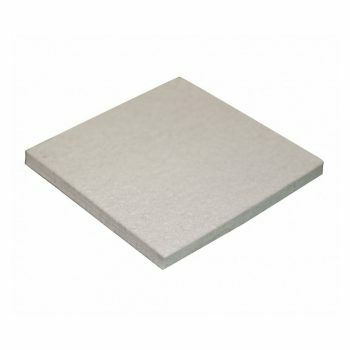 Features high vibration absorption, excellent abrasion resistance, density of 6 lb./sq. 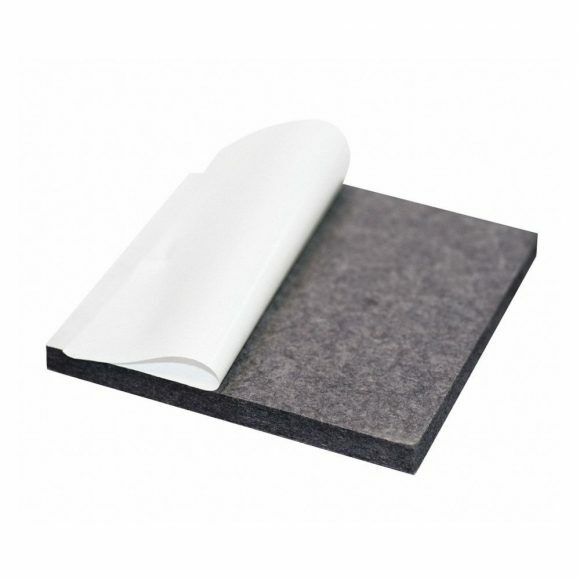 yd., minimum/maximum temp rating -80 ˚F/200 ˚F. 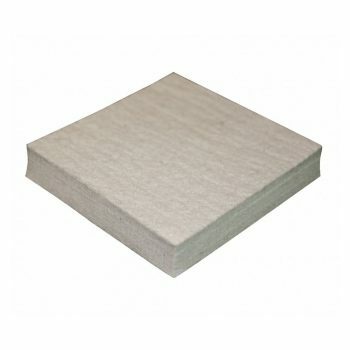 Typical uses include: vibration mounts, precision channels, oil seals, bumpers, gaskets.